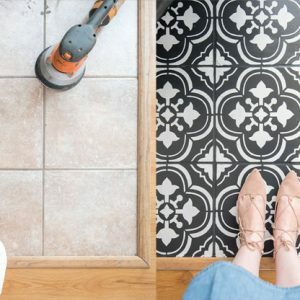 Spring has sprung, and our family is ready to get outside and work on our yard again! We finally dug up some front flower beds last year, and I can’t wait to clean them up and see how they grow again this year. I’m realizing more and more (and ESPECIALLY this week as the kids are on Spring Break) that we need to spend as much time as possible outside enjoying the fresh air and the beauty of nature! It’s hit me that I haven’t shared a free printable with you all in a long time, and I thought I was well overdue to give one to you. 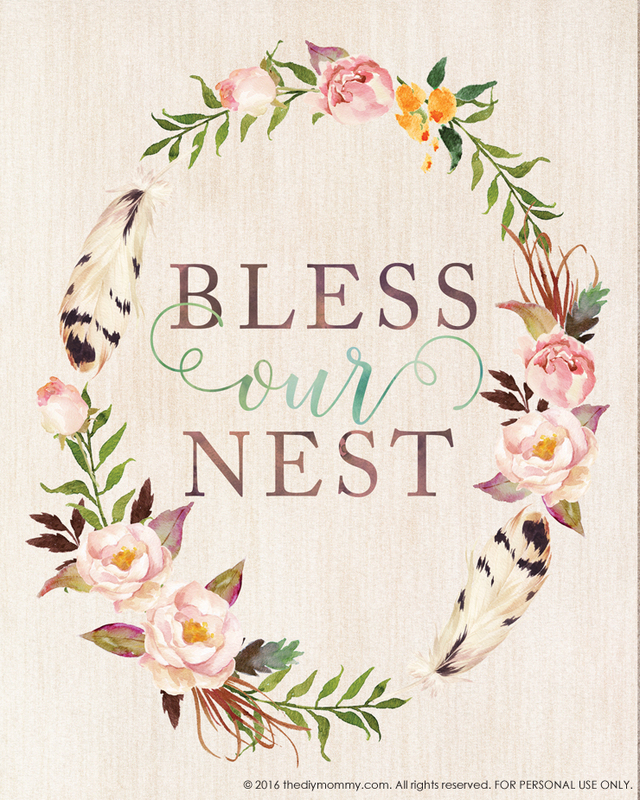 I made this “Bless Our Nest” artwork last year (with Photoshop and some gorgeous watercolour-like elements) and I had it for sale in my Etsy print shop. Since then, I’ve had to close down the shop because I’ve been so busy with my blog and mommyhood. Now I want to offer it to you today as a free download to thank you for continuing to read my blog and support my work. I value all of you and I feel so very grateful that you take the time out of your busy week to check in here and on my other social media channels. Thank you! 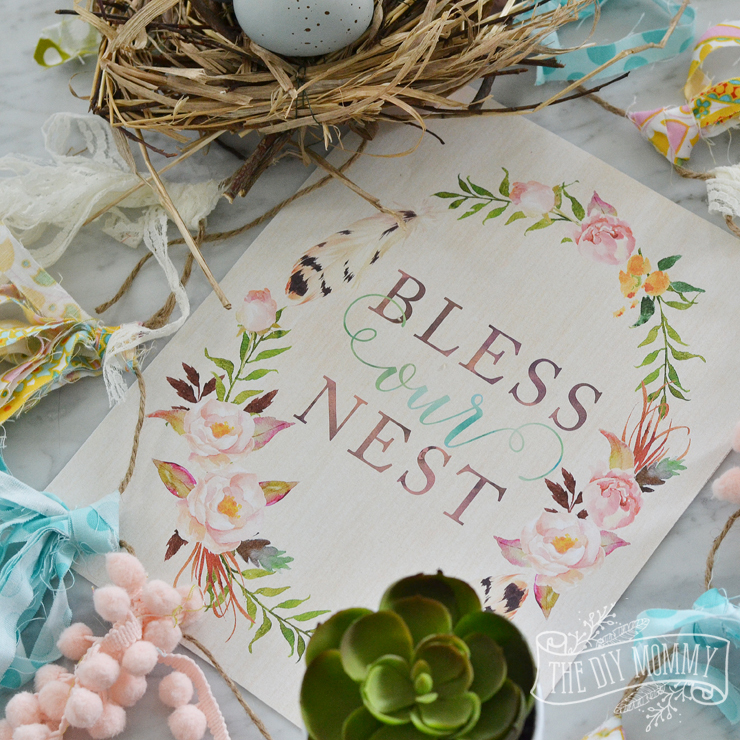 This artwork is perfect for a Spring themed gallery wall for your home. 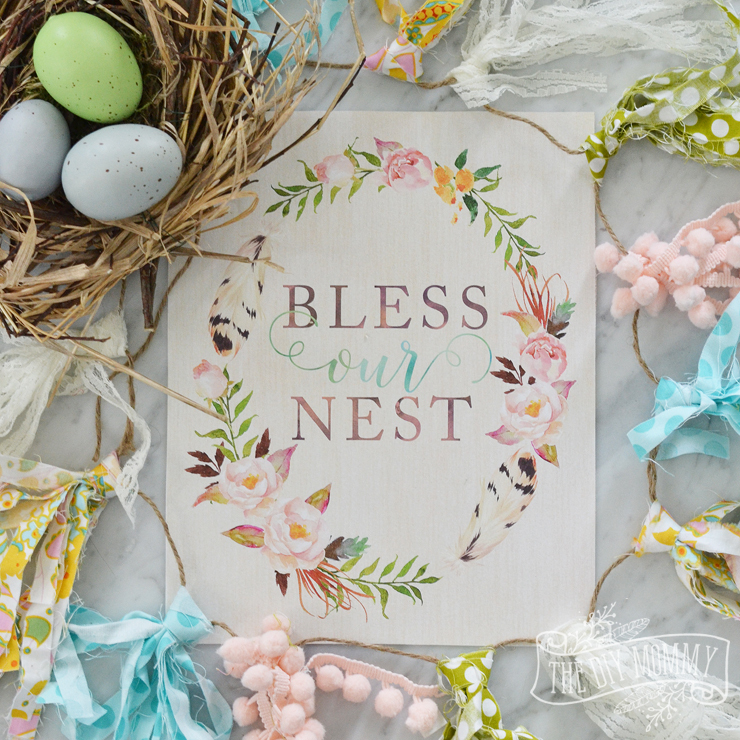 It features a floral wreath with feather accents and the words “Bless Our Nest”. I have ours on our TV gallery wall at the moment, and I just love it! Thanks again for reading and supporting me here! Please don’t forget to share this free artwork if you think your friends will love it (I have social media sharing icons at the bottom of this post). 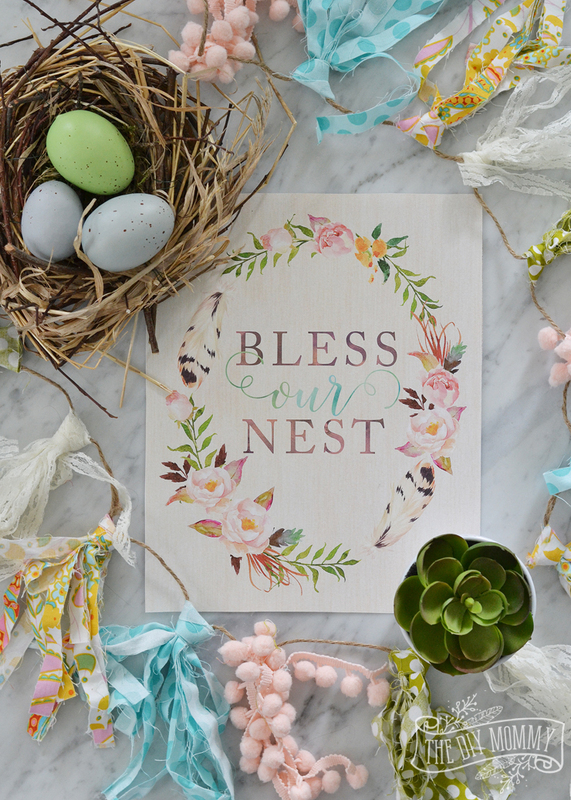 I hope you’re having a wonderful Spring so far and that you and your family – your nest – will be showered with blessings this year!